What do you want Oklahoma public schools to do and be? The federal Every Student Succeeds Act (ESSA), signed into law in December 2015, reauthorized the Elementary and Secondary Education Act and replaced the No Child Left Behind Act of 2001. ESSA restores greater flexibility about federal education policy to states and districts while ensuring accountability for the success of all children. 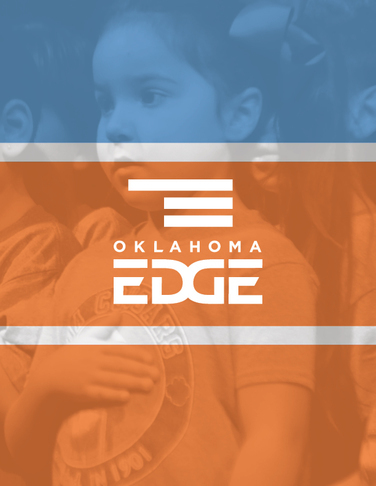 The United States Department of Education (USDE) approved Oklahoma’s comprehensive education plan, Oklahoma Edge, in July 2018. 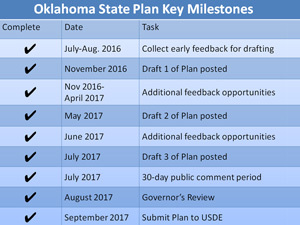 The Oklahoma State Department of Education (OSDE) collaborated with more than 2,000 stakeholders – including parents, educators and community members – through town hall meetings across the state and various advisory boards and work groups over the course of two years to craft the plan. 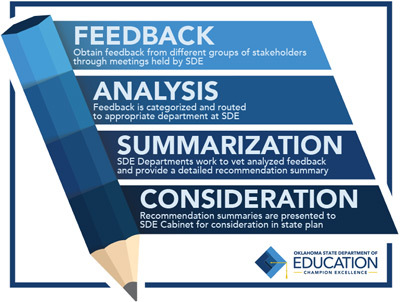 ESSA has allowed OSDE to implement strong, new academic standards and build a culture of excellence that replaced excessive standardized testing with more meaningful assessments and rich instruction. USDE's official posting of our state plan.